When considering purchasing a steel tank, first one must begin with the end in mind. The most significant factor that affects cost and schedule is design, so it’s important to know what you want – you have to finish the project mentally before you begin it pragmatically. Here are 10 steps we recommend you take to ensure you get the quality steel tank your project needs. Size – Is the size of your tank within the maximum size of that which is transportable to your site? This will determine if you are buying a tank that is fabricated in a shop and then shipped to the location, or a tank that is field erected on site. Coating Requirements – What kind of industrial coatings are required? Location – Where is the tank to be installed? Is it inside an existing building or are you erecting a building around it? What access is available to the tank site for heavy equipment? Be sure to consider special customizations that are required to make the equipment fit the facility and the specific operating equipment. Knowing your needs is just the beginning and is an important start to a well-executed project. Communication is important to achieve desired results. If you have a vague specification, others will be unable to read your mind which will impact the budget and the results. When you have a good grasp of requirements that you need for your steel tank, the next step is to consider the governing code or standards. Depending upon how you will use the tank it must meet certain requirements and standards. There are several to choose from, including but not limited to: API 650, API 620, AWWA D100, UL 142 and UL 2085 to name a few. The design criteria will most likely determine the selection of the code but don’t overlook that some codes are broader in scope than others. Selecting the incorrect code can add unnecessary cost to your project. Some standards do not require compliance to a welding code or certified welders. API 650 can be used for a wide variety of products and has Annexes that provide a wide range of variances and requirements. Understanding these variables is essential, and your fabricator and engineer can help you decipher what code is necessary. What is their experience history? Do they have a world class facility and equipment? Do they operate on word of mouth “tribal knowledge” or are their practices in accordance with written procedures? Are they certified and audited by an outside body like AISC, SSPC, NACE or ASME? Do they have buying power? Their ability to work directly with the mills to eliminate middle men will help with the schedule requirements and save you money. Do they have independently certified inspection personnel? Do they have an in-house, certified, industrial coatings division? Is their geographic location significant? Do they create their own detail drawings? “The devil is in the details” as the old saying goes. You want a fabricator that creates their own drawings for their shop, reflecting methods that are best suited for their personnel and equipment. If unforeseen changes should occur, in-house detailing ensures the fastest response time and the least amount of rework. Be warned, many companies have outsourced their detailing overseas, significantly limiting their control. Good fabricators buy in volume to save you money. They have a dedicated procurement team to ensure everything arrives and is on time. Depending upon the specifications of the steel tank, there can be significant lead times on different components of the job. As such, it is important to have a skilled procurement agent who is purchasing the materials at the proper time to ensure that the fabrications schedule is met. Quality skilled craftspeople are essential. A lot of welders and students fresh out of school can most likely pass a certification test, but a good fabricator controls their personnel strictly based on their demonstrated abilities. Not all inspection personnel qualifications are the same – there is a world of difference between a Level III NDE and an ASNT Level III NDE Technician. The same is true of the differences between a Certified Welding Inspector (CWI) and an AWS CWI qualified to QC-1. Do you know the difference? The quality of your project depends on it. As lawyers like to say, “If it isn’t documented, it didn’t happen.” A Quality Fabricator performs all of the checks, verifications, and testing at the proper time and has written records to confirm it. Material traceability is second nature to a Quality Fabricator. An engineered coating system is essential to the life of a steel tank. A Quality Fabricator has an in-house certified industrial coatings division that will help guide this process. They work with the engineer and the coating manufacturer to ensure the proper system is used for the tank. Having an in-house industrial coatings division will allow the fabricator to blast-clean raw materials prior to fabrication – when that makes sense – and most importantly, to ensure quality and control schedule. 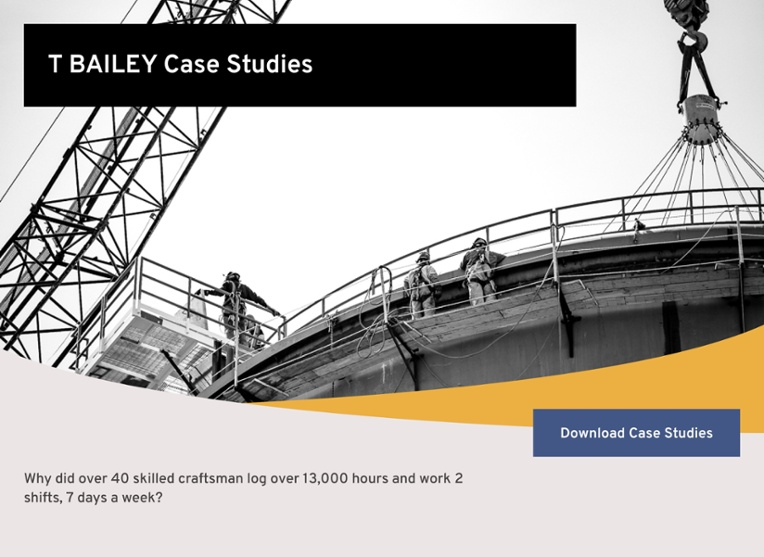 At times, a steel tank is only a portion of a larger job, a key piece to a complex problem. If the tank is not ready when it’s needed, all else pales in comparison. 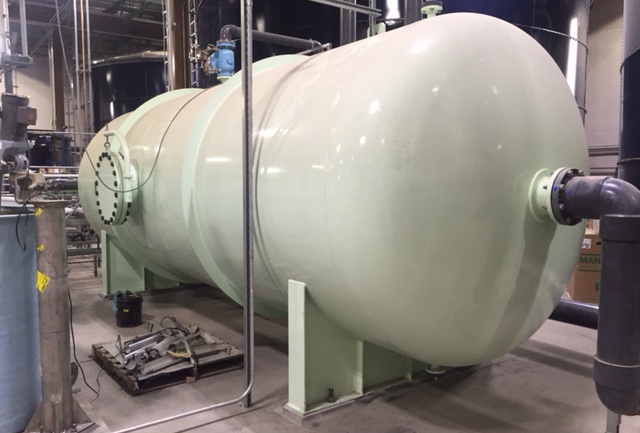 The fabricator must be able to meet delivery needs, have a demonstrated history of meeting rigorous schedule demands and have the resources needed to get the steel tank to you when you need it. Would you buy a car from the factory covered in plastic, lacking vital fluids and testing? Many fabricators leave tanks this way, sitting on the truck. They do not have the capability of installing it if you needed them to. Having the knowledge and capability of installing tanks provides the end user with more value. 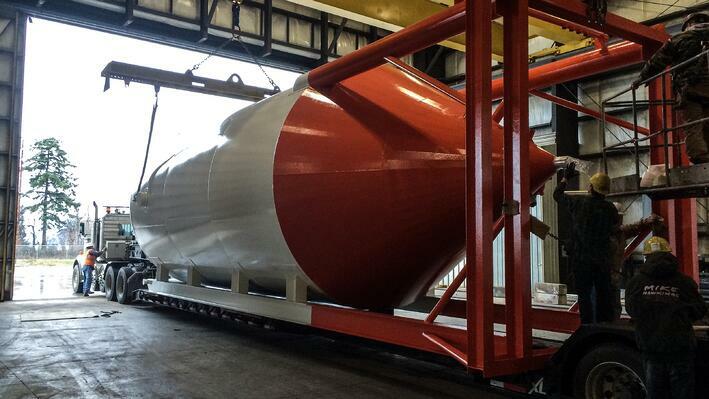 Find a fabricator who has the tank design, fabrication, and delivery with installation in mind. To ensure your project has the best outcome, follow the steps above and make sure you select a Quality Fabricator to build your steel tank.